I had to stay in to wait for a parcel today, and as I can’t hear the door bell in the studio, that meant stay in the house! So while I was waiting (the parcel didn’t come till 3.30pm!) – AT LAST!!! 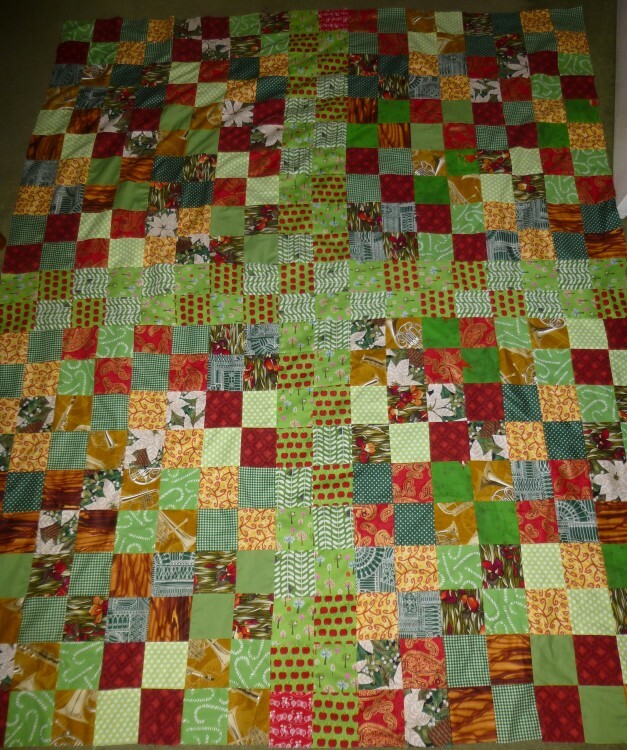 – I finished piecing the patchwork I started in spring last year . . . 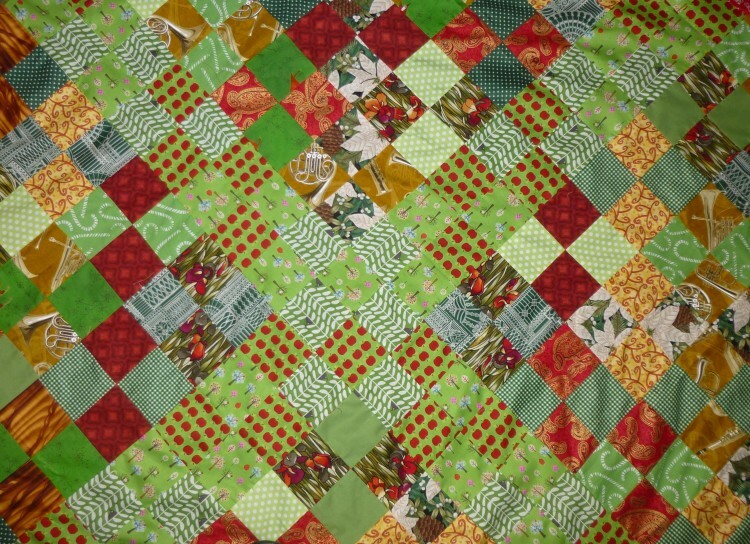 The idea for the pattern and the choice of colours came from Kaffe Fassett’s book, ‘Glorious Patchwork’ – I think he called it ‘Rosy Leafy’, and the general idea was to have one group of colours which were all leafy and mossy greens, and one group which were rosy, rusty, reds, bricks and ochres. The design is built up using ‘four patch’ with two matching 8cm squares from each colour group in each big square. For the central cross pattern I used fabrics which appear nowhere else in the design, and I made up a repeating pattern to complete this. If you look closely it is not very accurate – lots of corners which don’t match, lots of squares which are not quite square . . . . . but it’s my first attempt and I’m just going with it! I need to get the batting now, and decide on the colour for the backing fabric and the binding.